The H.264 video coding standard uses a 4*4 multiply-free integer transform, minimizing computational complexity. The emerging programmable stream architecture provides a powerful mechanism to achieve high performance in media processing and signal processing. 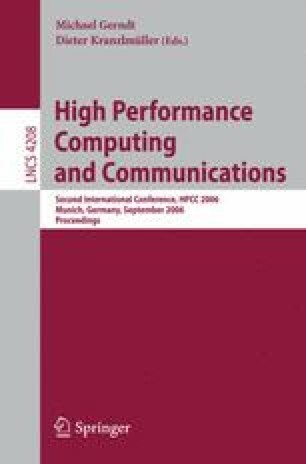 This paper analyzes the algorithm characteristics of transform and quantization in H.264 and presents a streaming implementation of transform and quantization on Imagine stream processor. We evaluate our implementation on a cycle-accurate simulator of Imagine and demonstrate stream processing efficiency by comparing its performance against other implementations. Experimental results show that our streaming implementation deals with transform and quantization of a 4*4 block in 6.875ns. The coding efficiency can satisfy the real-time requirement of current video applications.